What a perfect day to tell you why you now have 16 new reasons to blush?! Happy Valentine's Day to all of my Lovelies! 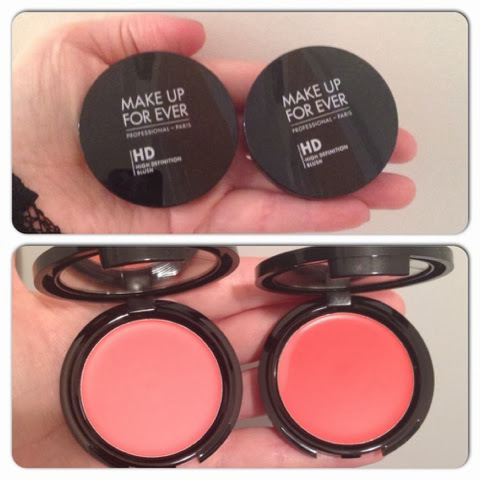 HD Blush ( $ 26) is a next generation of cream blushes as they look and perform up to the standards of professional makeup artists as well as under the HD cameras. Created in sixteen shades to suit every skin tone, HD Blush naturally sculpts and highlights the cheeks for a healthy and radiant glow. Apply it with your fingertips, HD Sponge or Artisan Brush or for a classic brush application that flatters any face shape: choose a full, rounded blush brush and apply the HD Blush onto the apples of the cheeks in a figure "8" motion. Sweep from the top of the apples downwards then up and back towards the top of the ear. 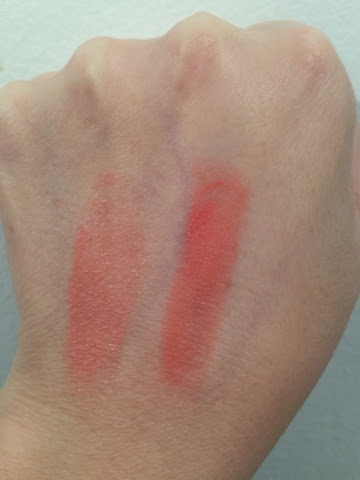 Numbers #410 and #215 are pictures/swatched and all are available by going online to www.sephora.com and any Make Up For Ever Boutique.